The tragic and unnecessary death of two local DJs was the final outcome of a verbal altercation that broke out at High Speed Supper Club this Saturday evening where the two DJs were seen yelling at one another about the time-slots that were allotted to them. 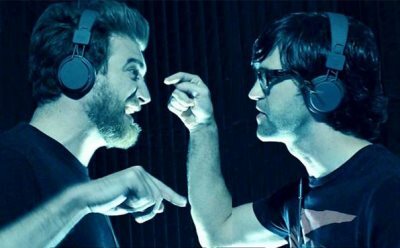 The altercation concluded in both DJs suffering cardiac arrest, nearly simultaneously after consuming mass amounts of cocaine before the disagreement. "They were both raging so hard man," said a local clubber whom tried to get the two DJs to settle on a coin toss instead of the drug addled masquerade of clubber machismo that took place that evening. "They started looking pretty bad and then out of nowhere they both gave out," said another clubber who wished to remain Anonymous. "I'm pissed because I came down here today just to see those guys play and I already took my pills and now I have to deal with the venue`s default techno playlists. FML." It was reported that the two DJs were from rival scenes but despite this fact, fans of the two DJs intend on paying their homage next Saturday, together, in hopes that peace between scenes can come from this tragic event.